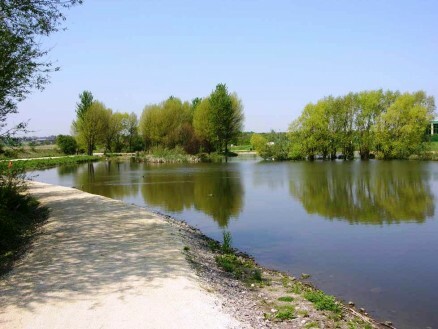 This scenic 66-hectare park rises above the surrounding area, offering fabulous views over the RSPB's Edderthorpe Ings reserves and for many miles into the distance can be enjoyed as you wander round this wild green space. Keep an eye open for the intricate wooden sculptures which celebrate both the site's mining heritage and bright new future as a community park. 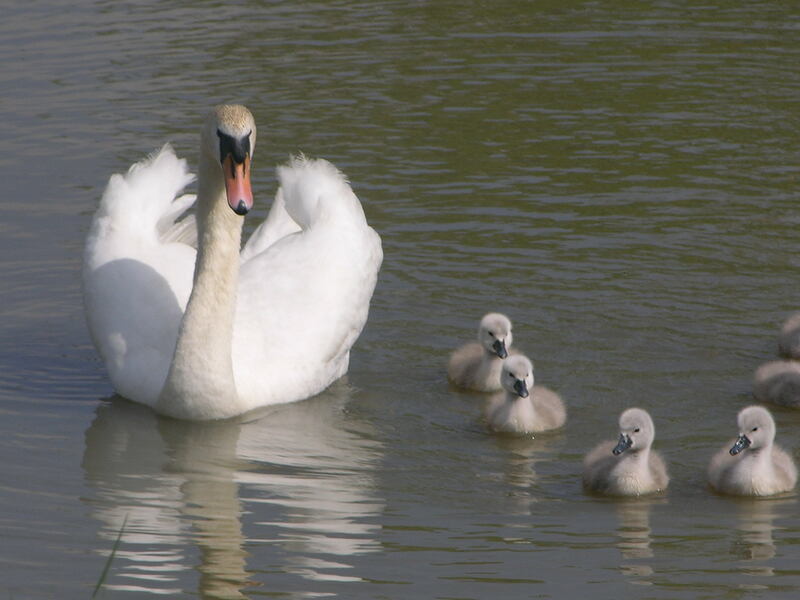 Ferrymoor Flash, a small lake which is separated from the main part of the site, should not be missed when visiting the site because of the fantastic range of wildlife such as swans, shelducks, tufted duck and a colourful variety of butterflies that inhabits this small wetland area. Film and trivia buffs may be interested to know that prior to its restoration Cudworth Common and another Land Trust site nearby, New Park Springs, were part of the Grimethorpe Colliery, which the hugely successful film Brassed Off was based upon. An extensive network of footpaths comprised mainly of non-bonded crushed material. 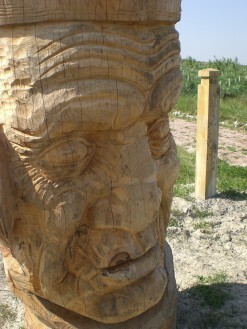 Most are in excess of 2.5 metres wide, but there are narrower trails through wooded areas which are unsurfaced. Paths vary in gradient from flat to 1:10 or steeper. 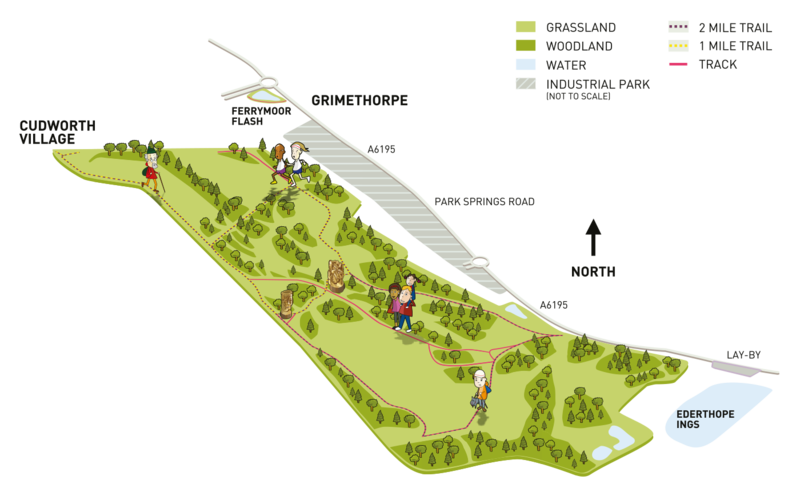 There are a limited number of seating areas at varied intervals throughout the woodland, most in excess of 500m apart. Access onto site is through access control barriers which permit motorised buggies, but the site is remote from nearby roads and is accessed via roughly surfaced tracks from Ferrymoor or Cudworth. The derelict and contaminated site was remediated by the regional development agency, Yorkshire Forward with funds from the Homes and Community Agency National Coalfield Programme. The resultant green space and business development have helped the nearby towns recover from the problems of the last decade. The new business park, located next to the Common, is proving very popular with a number of new businesses being attracted to the area bringing job and economic uplift. The Trust is providing a sustainable and cost effective exit for Yorkshire Forward and protecting the money invested in restoring the land as well as covering the environmental liability associated with the site past history. Crucially the Trust’s role in maintaining an attractive and popular green space increases the viability and desirability of the business park.